i told you that i was working on a sticky back canvas art project and that i would post if i decided i liked it, well i do... so here you have it! i altered this Ikea mirror frame with Ranger's sticky back canvas by Claudine Hellmuth. i did transfers with the studio line paints and gloss medium, stamped with Ranger's archival jet black ink, i did a resist with gesso, of course studioline! and i added a few bits and bobs, some from Tim's collection ,some from my little finds jar. i sealed the canvas with gloss medium before adding the embellishments, this will make it easier to wipe down once i hang it! i like the way it has turned out and i am extremely happy with the colours i chose, the yellows, oranges and reds are my colours at the moment, have been for a while actually! they make me happy or maybe i use them because i'm happy?! This turned out lovely, Tanya!! The colors are rich and wonderful. Don't you just love those metal corners?? This is wonderful! I love the colors and all your bits and bobs! Wow Tanya! I really like what you did with the sticky back canvas and the transfers. Love the colours too. I bet its even nicer in real life cos I can imagine how the textures of the sticky back canvas layers would look up close. Thanks for sharing! God, this is truly beautiful! What a fantastic idea! I really love it! 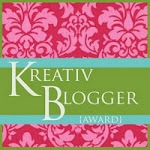 You received the Uber Amazing Award, so please visit my blog to copy and paste the logo( in my side bar) and pass it to another 6 blogs you love. Stopping by from Claudine's website, this is totally cool. I enjoy creating mixed media art so I'm really glad I found your blog!